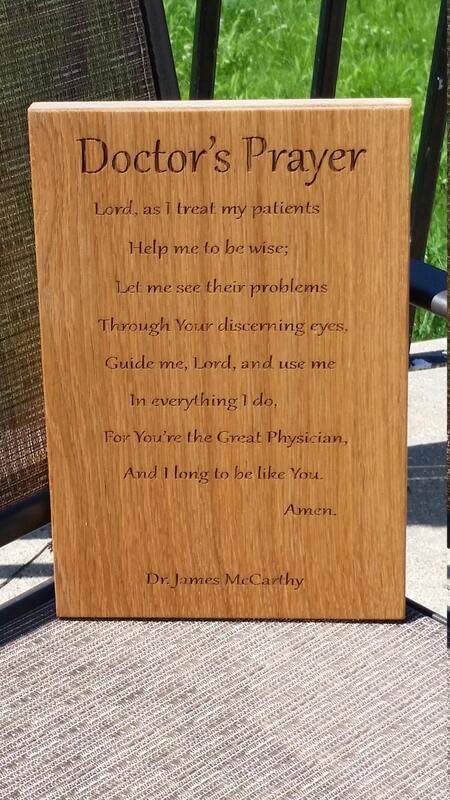 Looking for a special Custom Gift for the Doctor in your life? 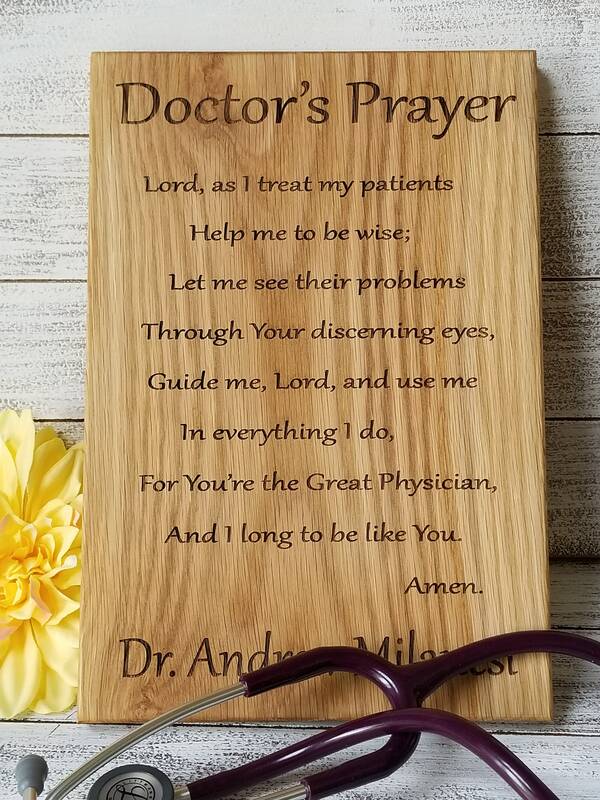 Gift him or her with this beautiful plaque to hang or display with pride in their office or at home. Size: 12.5 inch long x 8 inch wide. KEY HOLE for hanging optional. Please choose at checkout.